As a teenager, the simple act of walking out onto the training floor was always a challenge for me. It was a very rare day that I didn’t do something wrong the instant my foot hit the floor, which inevitably resulted in me doing pushups. “What could I possibly do wrong?” you ask. Well let’s see, there was the occasional forgotten bow, there was my lack of awareness of my instructor standing next to the door, which resulted in me not saying, “Hello Sir”, there was even the one time my foot caught on the edge of the mat and I fell flat on my face at the feet of my instructor. The list goes on and on and on…… One day, I was so excited when I realized that I was at least 10 feet out onto the training floor and I wasn’t doing pushups. I looked around the room with a big smile on my face, as if I had just won some major award. That is when I saw my instructor walking toward me and my smile instantly faded. I thought, “Pushups! You are smiling”, but alas no. 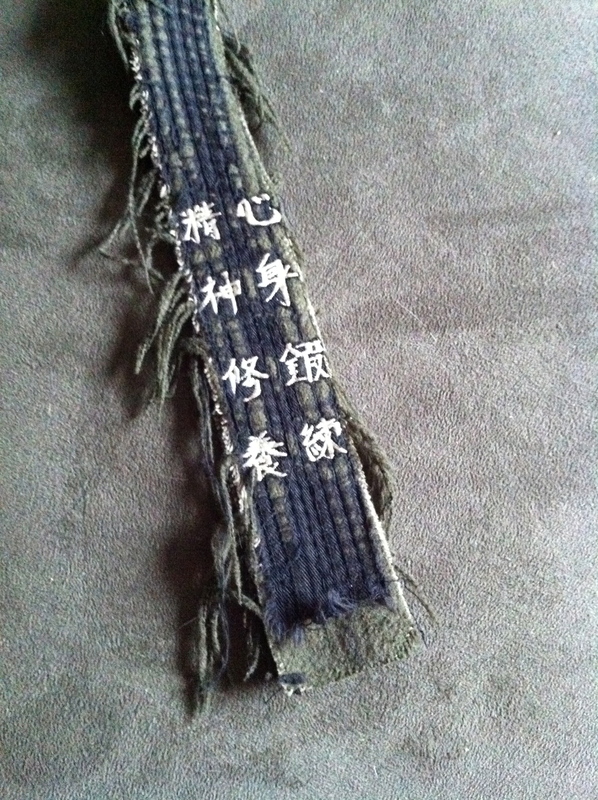 Instead, he walked over to me and gentle took the ends of my belt in his hands. He then pulled them straight out in front of my body to illustrate that one end of my belt was longer than the other. Then he asked, “Are you physically deficient or mentally deficient today?” and then walked away. He later explained that the ends of the belt represent the mental and physical aspects of Taekwondo and that like a correctly tied belt, with equal length ends, they should both be practiced equally. Unfortunately, very very few schools teach Taekwondo that way and I’m sad to say my instructor at that time didn’t either, for the most part (there was a reason for that). Please don’t think for a second that I am in any way putting my instructor, at that time, down because I’m not. I owe everything to him and if any aspect of his teaching was changed I might have never made it to where I am today. He as a student, like most Taekwondo students, was never taught anything but the physical aspects of Taekwondo. Sure, he learned the basic history of Taekwondo, some Korean terminology, manners, the creed, etc. but that is where it stopped. And, because of his limited exposure to the mental aspects, he was not able to expose his students to anything more than what he had learned. If someone comes up to you and whispers the truth to you in your right ear and someone comes up to you and asks for the truth out of your left ear, you have an obligation to share that truth! I recite that quote to my students more than I’m sure they would like but it is very important in respect to this post. Almost everyone that hears it assumes I am stressing the need to teach (share the truth) and they would be right, but in this case I’m not. In this case, I would like to focus on the fact that the quote illustrates that we can only pass on that which has been passed on to us. So my instructor was doing exactly what he should have been doing, passing on what was passed on to him. His instructor was doing exactly what he should have been doing, passing on what was passed on to him. As long as the “passing on” is 100%, no one was doing anything wrong. Therein lies the problem. “Back in the day” students would attend class every day and instructors would have a lot more time to teach both the mental and physical aspects of Taekwondo. Nowadays, for most schools, that isn’t possible. Nationally, most students on average attend classes twice a week for 60 minutes. So most instructors that have the knowledge to teach the mental aspects of Taekwondo, out of necessity, have opted to focus on the physical aspects. This selective focus has forced the shift of Taekwondo from a Martial Art to a sport or simply a physical activity. OK, before everyone reading this gets all bent out of shape, I realize that this isn’t true for every Taekwondo school but it is for most. Even my school isn’t immune to this shift. I simply don’t have enough classroom time to pass on everything I know. I too am also forced to spend most classroom time teaching physical techniques. Over 20 years ago, in an effort to help balance this lack of teaching the mental aspects, I started offering a “Winter Retreat”. This annual retreat exclusively offers the students access to the mental side of Taekwondo. However, even that isn’t enough because the material covered at the retreat is almost never repeated once taught. There simply still isn’t enough time. So, what is the solution? Most instructors would say, “students need to learn the mental aspects of Taekwondo off the training floor, on their own.” Back in 1990, Grandmaster Ahn and I had this very discussion. I brought up that fact that we needed to teach more of the mental aspects and he promptly asked, “When?” He talked about how there simply isn’t enough time in class and if he made time, the students would end up failing their physical promotion exams. He felt, as I mentioned earlier, that it was the student’s job to explore the mental aspects on their own time. I then pointed out my belief that most students don’t do that. We went back and forth for almost an hour before he agreed to put his Black Belts to a test. Grandmaster Ahn came up with a list of topics he felt his black belts should have a working knowledge of. I then made up a written “quiz” based on that list. Grandmaster Ahn gave all the black belt that attended that week’s black belt class the quiz and both of us were surprised by the results. I thought the grades would be lower than they were and he thought they would be higher than they were. After discussing the results, he came to the conclusion that students in general lacked mental knowledge do to a lack of easily accessible printed material and therefore the next week he called me into his office and tasked me with writing new manuals for his association. That was the beginning of my obsession. Ask any of the Master Instructors within Shin Ho Kwan what I do in my spare time and they will all say, “Write Manuals!” Over the years, I have constantly rewritten and reworked the manuals until I finally was able to publish Shin Ho Kwan Volume 1 & 2 (300 pages), and I’m still not done. 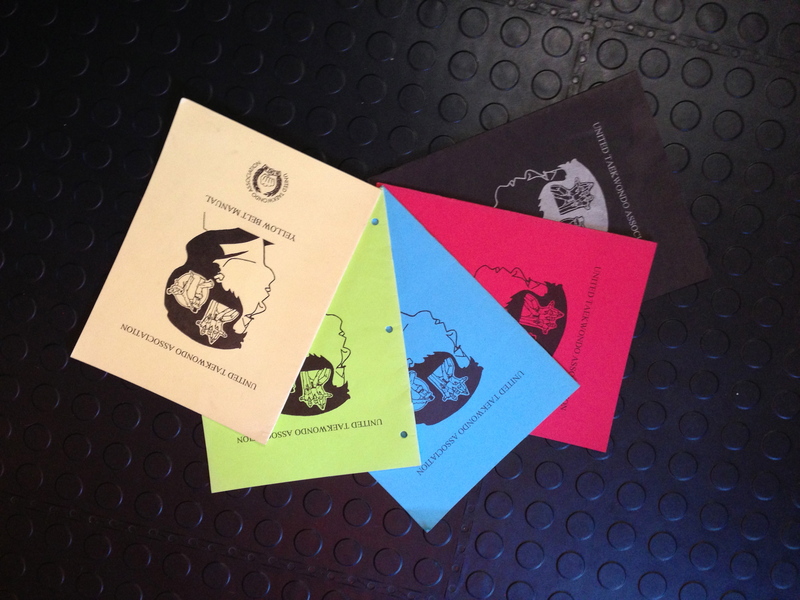 Currently I’m finishing up two new books on the mental aspects of Taekwondo. The first book that will be released, is a collection of articles I have written over the years and the second book is on Do Meditation. Write a manual for your school or use your association’s manual or use another school’s manual (with permission). Provide a movie (documentary) list. Start a blog that focuses on the mental aspects. Have a school web page (that contains material other than advertising). Start a “club” within your school that focuses on only the mental aspects. And the most important of all, never stop learning yourself. So what is a student to do about this? That’s simple, constantly ask questions? There is nothing that upsets me more than a student that has one-on-one time with their instructor and they either don’t talk or they talk about non-martial art related stuff. What a wasted opportunity! Believe me when I say you can never ask enough questions. Also, READ! How many books on martial arts have you read? How many books on Asian culture and philosophy have you read? With today’s technology most of what was only available in book form when I was a color belt is available on the internet for free, so there is no excuse for not reading something. If your school isn’t providing you a balanced mental/physical education, you have two choices: learn it on your own or switch schools.